Low carb milkshake, an easy sugar free almond milk chocolate shake with peanut butter, ice cubes and stevia. 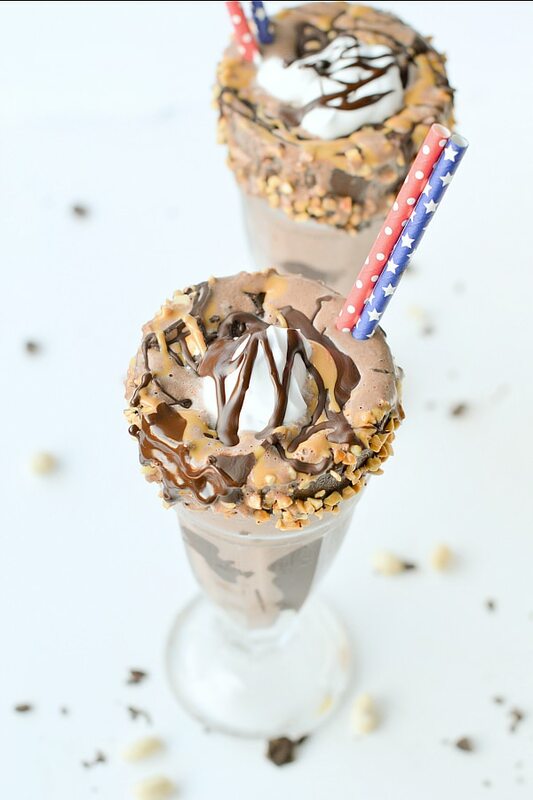 Low carb Chocolate Peanut milkshake I LOVE you ! You know I have been sugar free for 5 years now right? Well, I had few break, I won’t lie to you ! I tried few dried fruits sweetened dessert but it doesn’t work for my body. Even the most natural options like dates, banana trigger sweet cravings and I enter in a loop of overeating sugar again ! I have been a sugar addict, a pre diabetic and I can’t have anything else than sugar free sweetener anymore. So this is my low carb milkshake, a delicious creamy frosty chocolate shake made of few simple ingredients. All you need to make this delicious low carb chocolate shake are few natural ingredients. 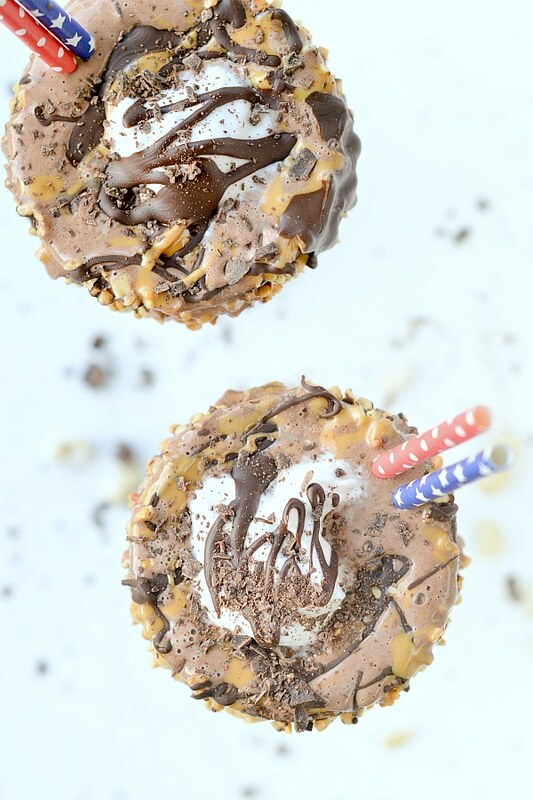 Peanut butter – you can use any nut butter you like. 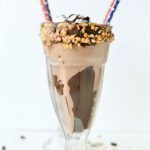 I made this low carb milkshake many times, others options that I love are cashew butter, coconut butter or almond butter. Unsweetened almond milk – or unsweetened vanilla almond milk for a hint vanilla flavor. 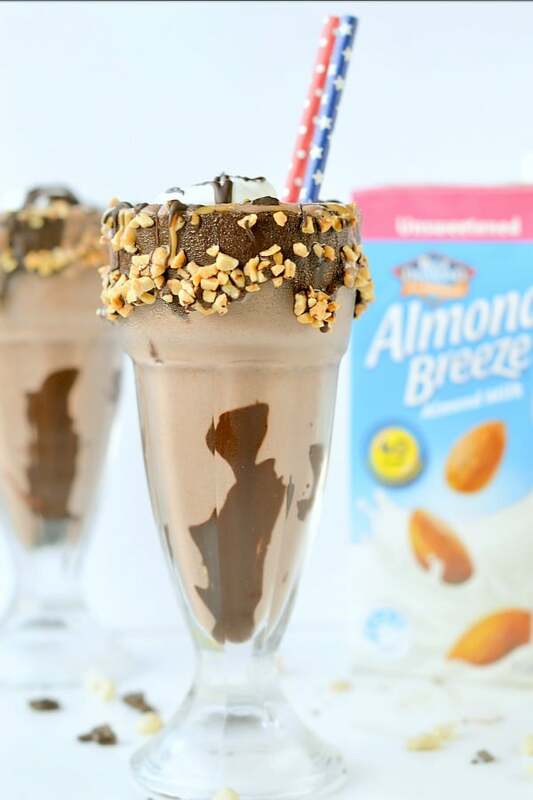 I am using Almond breeze my favorite low carb sugar free almond milk brand for 5 years now. Coconut yogurt – I used full fall dairy free coconut yogurt. Other options are full fat Greek Yogurt or canned coconut cream. 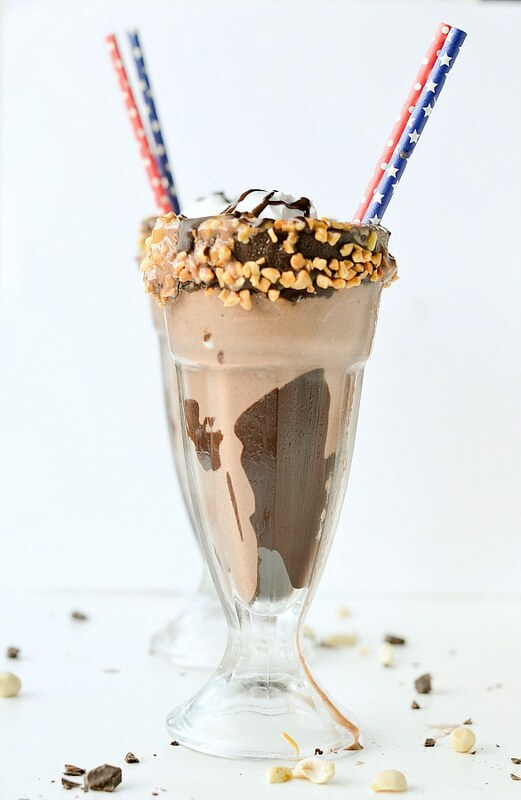 Honestly, I am having this Chocolate Peanut butter milkshake anytime of the day. I love it for breakfast after a run to reload my body with protein – 9 g per milkshake – and it is refreshing. It is also a delicious treat in the afternoon during summer or a great dessert alternative to my chia seed chocolate peanut butter pudding. Enjoy the low carb milkshake recipe. 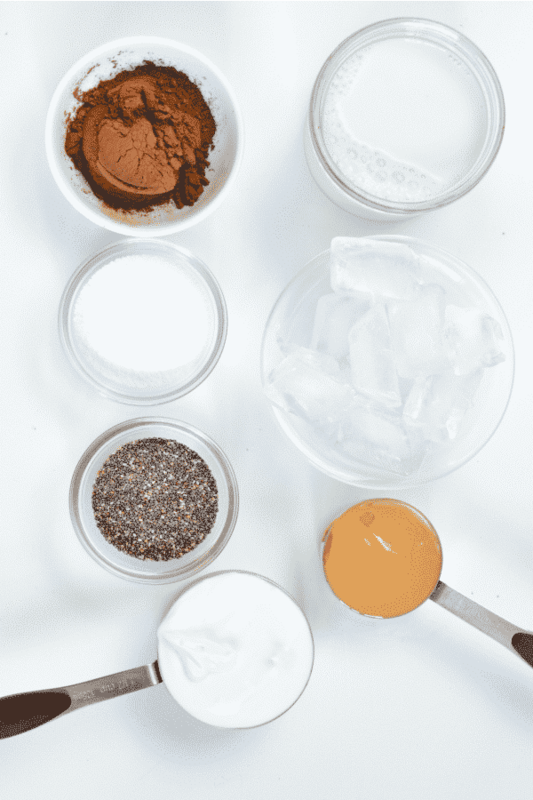 Watch the Low carb milkshake recipe video and make yours now ! Serve immediately with a drizzle of melted sugar free chocolate, peanut butter, a dollop of yogurt and chopped peanuts. This recipe serve 1 low carb milkshake. Nutrition panel is for 1 milkshake. I substituted almond butter for peanut butter, heavy cream for yogurt, and used swerve as my sweetener and this came out perfect! Thank you! I really needed something sweet! My pleasure ! We all deserve something sweet on keto right? Enjoy the keto baking recipes on the blog. XOXO Carine.